A veteran HR professional and current President of North America Field Operations for Jenny Craig’s North American division, Douglas Battista believes that a company must instill and execute core values in order to remain competitive in today’s marketplace. Values, says Douglas Battista, are at the core of the workplace. They define how a company operates and how employees and clients perceive corporate leaders. 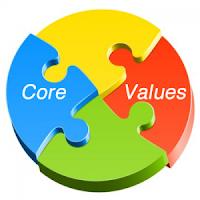 Without a defined set of values, it is difficult to outline and enforce expected and acceptable company behavior and even harder to encourage consistent employee performance. According to Douglas Battista, an identifiable company culture makes it possible for a smooth transition in the event of change. A defined set of values that is upheld, recognized, and rewarded ensures that employees continue to understand where their responsibilities lie, regardless of corporate situation. A corporate culture is shaped through recognizing behaviors that leadership wants to impart to workers. And, emphasizes Douglas Battista, these behaviors directly impact the company’s performance and bottom line. Each employee should be given a voice to help define the values, says Douglas Battista. Sometimes it’s the workers who experience the company at the bottom that have the best advice for those at the top. Once feedback is obtained, it should be structured and utilized by management. When employees’ opinions are valued and their suggestions are implemented, they are more likely to adhere to the company values. By taking the time to develop company standards with the input of all, those in leadership communicate to employees that, “You matter, your actions matter, and we will recognize you for representing this company in the best light possible.” This, says Douglas Battista, gives employees a sense of loyalty and lays the foundation for the success of any business.